Fair fa’ your honest sonsie face, Great chieftain o’ the pudding-race! 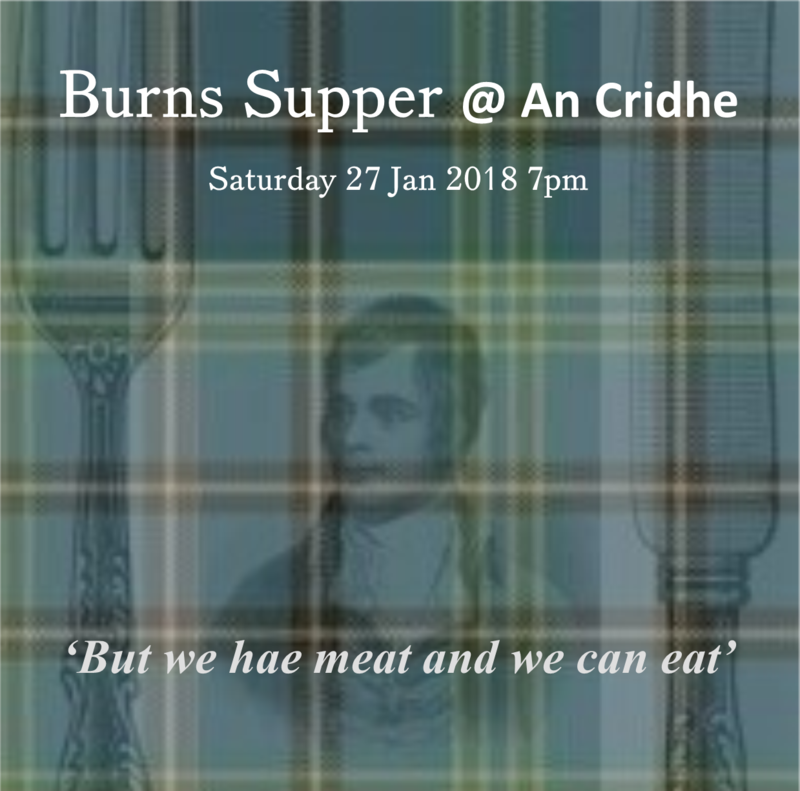 Join us at An Cridhe for a 2-course Burns Supper with bar. Your chef, Darran Jamieson, will once again serve up his more than ample helpings of Burns Supper. As you might expect, Coll dispenses with the formalities and while you can expect the Selkirk Grace, the Address to the Haggis, and the hilarious toasts, it’s all about enjoying yourself and offering up a word or a song or two if you wish. A great introduction to a Burns Supper, and a fantastic sense of community! If you’d like to take responsibility for an item from the ‘order of service’ let us know and we’ll put you in touch with the folk in charge. A bit of internet searching would point you in the right direction if you’re new to this. Booking is essential… but you can pay on the night. Email: info@ancridhe.co.uk or phone us on 01879 230 000 to book.